can you read Kirundi?’ Again ‘yes’ was the reply. and clutching it he just beamed! on to their ‘home’ areas, but for many they don’t know where that is, so they remain at the camp indefinitely. 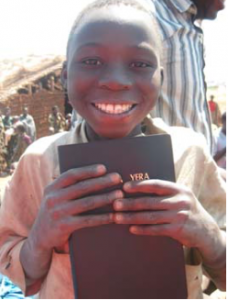 As we gave out bibles, people came with the torn and tatty portions, the remnants of well-read bibles that had survived fleeing into exile, and many years (some since 1972) in refugee camps. We went on into the small church, bulging with people praising and singing, a regular event though it was Saturday. 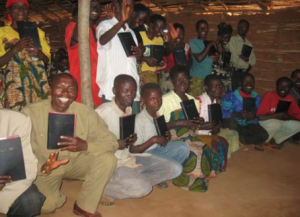 Thanks and praise were given for the new bibles, and the pastor told us a collection would be taken tomorrow for the Bible Society in recognition of their joy! establish those in greatest need, who could read and use the bibles. 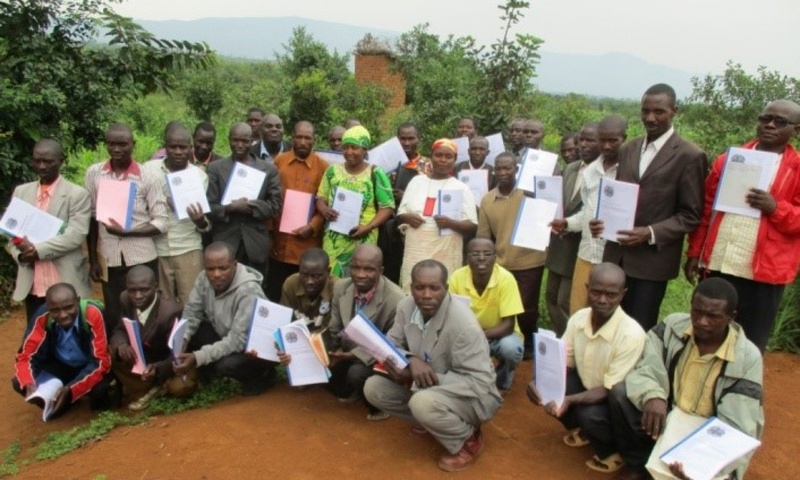 Many others have since been distributed mainly to returnees at conventions and evangelistic events across Burundi.